Doctor Jonathan Crane was a professor of psychology and psychiatry, fascinated with the concepts after being bullied mercilessly throughout his childhood. After firing a gun in a classroom and accidentally injuring a student, he is terminated from his job, takes up a life of crime, and dons his trademark scarecrow costume. Using deadly fear gas to give his victims nightmarish hallucinations, he himself can no longer feel fear for anything but Batman. Fans of this frightening villain can find Scarecrow products and apparel to delight and terrify at Superheroes Direct. We offer statues and collectibles such as POP figures depicting his various looks, including his styling from the Arkham Knight video game. 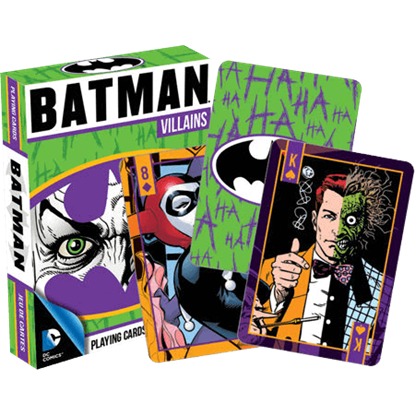 Our apparel includes t-shirts, masks, and more featuring the visage of this recurring Batman villain. Keep checking our Scarecrow selection here at Superheroes Direct for updates to our available collectibles and apparel. With Fear Gas at his disposal, Scarecrow makes the worst nightmare of his victims a reality. 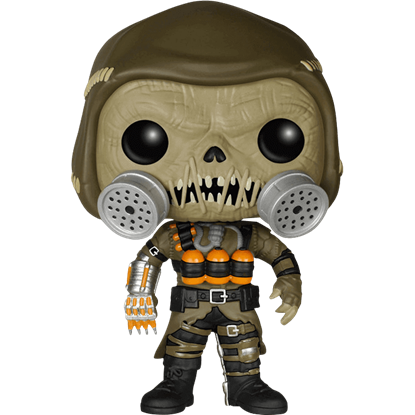 The main villain from the last game in the Arkham Knight series is depicted with chibi styling in this Arkham Knight Scarecrow POP Figure.